And that’s pretty much all you have to go on in terms of plot. I won’t really say more about that, but what I will say is that, much like some moments in Lost (although Lost is encyclopedic in its telling of facts and plot when compared to Limbo), the few things you do get are so wide open that you can riff endlessly on what you weren’t told. Even Braid gave you more than this, and that’s saying quite a bit (for what it’s worth, I preferred Limbo’s quieter, more intimate message vs. Braid’s bloated over-importance). There is an interesting (but INCREDIBLY spoiler-rific) thread on GameFAQs about the ending and the multiple interpretations, and I am continually amazed with the things people pick up on/make up. The second thing is how incredibly experiential your consumption of this game will be. This game NEVER should have been presented at that Six Lounge event, because while you do miss some key sound design cues from a gameplay perspective, more importantly the rest of the presentation is meant to be drilled into your eyeballs at 2AM with the sound turned up just a bit and a completely dark, cold room surrounding you. There are a few moments in the almost totally music-less game that have some ambient soundscape-ey pieces that really add to the breathtaking minimalist graphics. This game is meant to be admired and interfaced with as much as it is meant to be played. I say all of this because your willingness/availability to be exposed to this game in this matter will be commensurate with your enjoyment of it, without question. I realized this pretty early on, so I insisted that I only play this game under those admittedly rare circumstances. In doing so, I feel comfortable in dinging PlayDead for the few things that they didn’t do…perfectly. There are a few puzzles that are not very well explained, and on those few puzzles, I felt like I was stuck there for a startlingly disproportionate amount of time (this game isn’t a fraction as hard as Braid is). I can say this happened twice during the play-through (I’m talking the whole, “I’m turning this off now.”-then-think-of-the-solution-a-day-or-two-later type of stuck), and almost a third time. The unfortunate thing about all of these times (particularly the third instance) is that it got dangerously close to impacting my enjoyment of the ambiance and “story” of what was being delivered to me. And without that…this game could take a nosedive in its final rating. My only advice for PlayDead here would be to get some of the head-scratching challenge out of the way earlier rather than waiting for the 11th hour. While such a thing would be very anti-game of them, this is a title that banks way too heavily on its experience and far too little on its gameplay and mechanics for this not to be an exception. The other questionable piece of this is the value proposition at $15, and that’s a rough one. I actually grabbed this on New Year’s Eve when it dropped to $10 for one day, and I think that $10 is probably the more appropriate price for this. Barring the tougher puzzles (for which everyone’s mileage will vary significantly), the game is only a handful of hours to complete. I am certain that this particular game does not need anything else in terms of playtime or features, but it does call into question whether $15 is going to satiate the budget-minded gamer focused on quantity vs. quality. While I always fall into the latter category (I’m embarrassed by how many terrible movies I’ve paid to watch in my lifetime), it is fair to state that Limbo teeters on the edge of this territory, and might anger those that don’t get the very specific meal that is being offered by the developers. 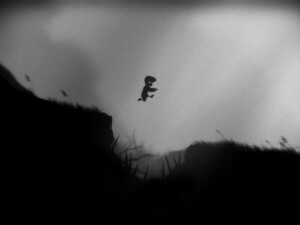 I’m happy to report that despite the rhythm gaffs and economics of Limbo, my opinion of the game wasn’t marred significantly. 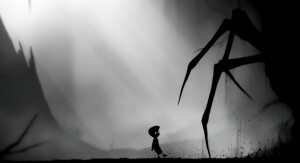 The experience of Limbo is a really engaging and riveting one, and in many ways this felt like a refinement to the Braid formula, much like Mass Effect 2 was a refinement of the original Mass Effect. 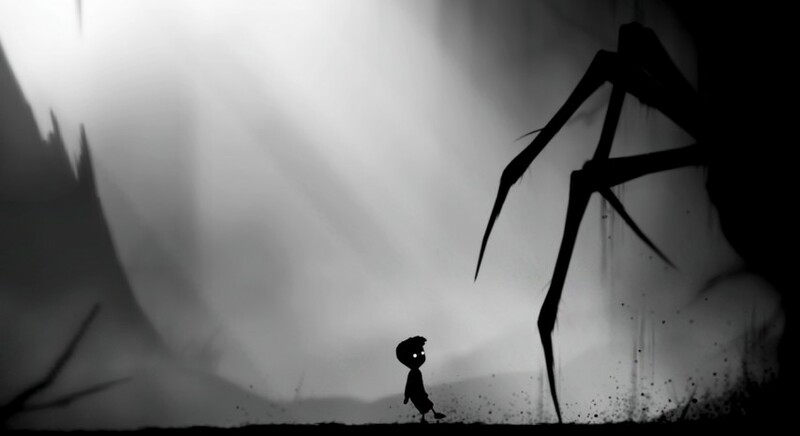 There were many more moments of quick-yet-satisfying puzzles and much fewer head-scratchers, and while the work of art they were producing required that balance (and almost lost it a few times), I feel like Limbo achieved what it set out to do. I will fondly remember this strange, hauntingly beautiful tale as an advancement of the art of gaming, and hope that many others do as well.